Huntsville Therapist: Aaron Brown - Therapist 35801. Send A Message To Aaron. Aaron Brown is an Associate Licensed Counselor under the supervision of Dana Hampson, LPC-S in the state of Alabama working with marriage and family issues and relationship problems. He holds a Master of Arts degree in Professional Counseling from Liberty University. He also holds a Master of Science degree in Computer Engineering from Walden University and a Bachelor of Science degree in Computer Engineering from the University of Alabama in Huntsville. His passion is in strengthening marriages and families as the core unit in our society. 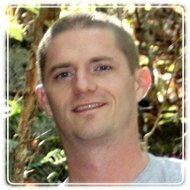 Aaron has a holistic and eclectic approach to treatment that is based upon empirically substantiated evidence from a Biblical worldview. In all areas of treatment, Aaron strives to help people achieve their full potential and purpose in life by walking with the hurting and those that have lost hope. He believes everyone has unique value having been created in the image of God. He is an active member of the American Counseling Association and the American Association of Christian Counselors.